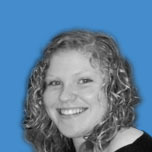 TL Spencer was born in Lincolnshire (UK) and, as her father was a member of the armed forces, she travelled frequently. As a child, she lived in places such as Reading and Salisbury, taking advantage of being a short drive from the mystical Stonehenge – one of her favourite places. Thank you for joining us today, Terri. Can you please start off by telling us a bit about yourself? My full name is Terri-Louise and I am a Leo baby, born on 7 August 1992 and I live in the fabulous seaside town of Cleethorpes – they have the most scrumptious fish’n’chips – in the north of England. I am fascinated by anything paranormal and I adore any kind of animal – even the ugly ones. I was diagnosed with epilepsy at the age of eleven; writing became a way to cope, a way to vent out my frustration. It was a form of therapy. However, the first time I considered myself a writer and really got bitten by the bug was when I started writing my novel, almost two years ago. The YA market is incredibly versatile. It is also more accessible for me as a writer. I am only twenty years old. It would be silly for me to write about adult issues. I haven’t been an adult long enough; the stories would lose their atmosphere. Writing on the whole is a challenge; there are deadlines, expectations, editing, plotlines etc. Though, while you are scribbling/typing away, you are not necessarily thinking of all these things, as soon as you finish, they all start to run around in your head. The greatest challenge for me as a writer however, is dialogue. I loathe it; for me it is one of the most difficult things to accomplish. 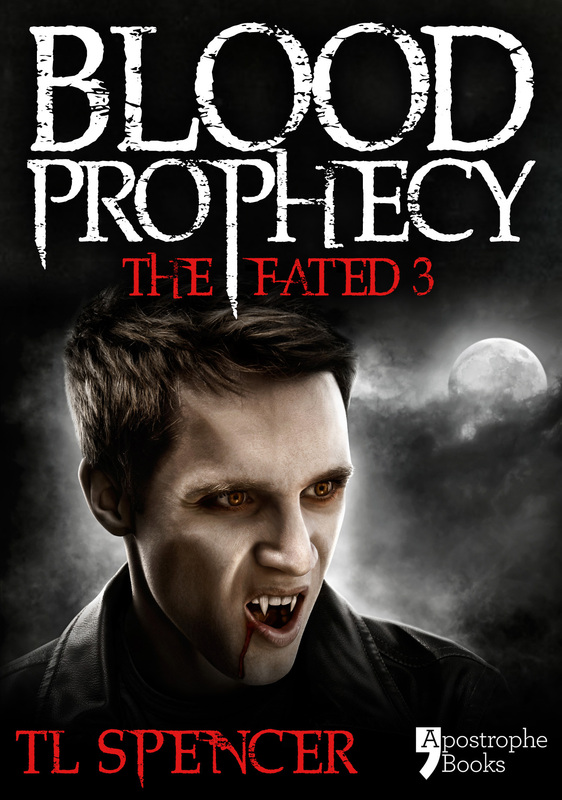 Blood Prophecy: The Fated Three www.apostrophebooks.com/books/blood-prophecy is a three part novel of magic, love, vampires and betrayal. Three young women discover they are bound together by fate and must band together in order to save the world from darkness. Inspiration came from many places. There were several authors (JR Ward, Kerrelyn Sparks, JK Rowling) whose books influenced my work but the main ideas came from mythology and religion. The concept of the triple goddesses and ancient prophecies; all these are deeply embedded within Celtic myth. After completing my studies at university, I hope to pass on my creative enthusiasm to the younger generation. My immediate plans are to carry on writing! I wish to inspire others who have difficulties, either medical or personal, to achieve their goals. There is always hope, sometimes it’s just harder to see. Thank you for spending time with us today, Terri. We wish you much success. Joining us today is Joanne Lécuyer, author of Kaptain Vamp. This is a children’s book geared toward ages 7-10 and anyone that is young at heart. Welcome to The Children’s and Teen’s Book Connection, Joanne. Can you please start off by telling us a bit about yourself? Well, while I really love writing books and giving story writing workshops for kids, I have a full time job in communications and change management with the Canadian federal government. The daytime job keeps me pretty busy. In my spare time, I’m also a professional and personal coach and a Reiki Master. I have a very active mind and like to do many things. I consider myself as an eternal learner. I’m turning 50 next year, so I’m beginning to pay more attention to my body now. I need it to keep up with me and my many projects! I live in a small rural community outside ofOttawa,Ontariowith my husband Rick, our dog Kato and two cats, Black Magic and Minx. For fun, I love to read, write, and watch movies (Rick and I love animated movies – especially the ones for kids). We also spend time with friends and family. I’ve always been writing something or other. But I would say that finding my passion for writing kids books started in 2009, and just keeps on growing. I’ve been writing stories for children for about 2 years now. But, it all started about 6-7 years ago. After spending a weekend with my younger brother who’s extremely creative and a graphic artist, I got an idea for a story that I called Topsyturvia. On my way back home on the train, I jotted the story down on some scraps of paper. When I got home I just put the pages away. In 2009, I remembered that I had written the story and transcribed into my computer and just kept adding to it. I got to about 6,000 words and read it to my husband who told me that he thought it was a very good story. So I gave a copy to a few colleagues with children and they liked it too. Everyone has been so supportive and encouraging. I decided to publish my first book The Witch, the Cat and the Egg last fall. Since then, I’ve had so many story ideas it’s been great. I look forward to having the time to write them all down. To me, it feels like it’s easier writing children’s fantasy books, since I can use my imagination and anything is possible. For the last few years, I’ve been writing things like speeches and correspondence. Writing for someone else is hard. It’s difficult to know exactly what they want to say. What I enjoy most about writing for young people is stirring their imagination. I’m always hoping that they will enjoy the story, as much as I love writing them, and that it will awaken the reader/writer/illustrator in them. It’s a challenge to hold kids’ attention these days, since we have to compete with video games, television, YouTube, Facebook, etc. Over the summer, I gave 4 story writing workshops for kids, in a school and at a summer camp. In addition to sharing my writing process with them, it was exciting to help them use their own imagination in creating characters and story ideas. I totally enjoy writing for them and playing with them in the workshops. 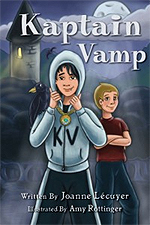 My latest book is Kaptain Vamp. 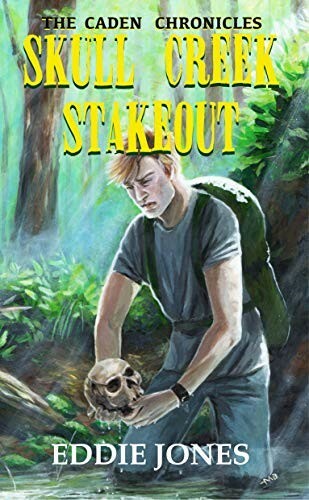 It’s the story a young vampire named Allistaire, who is also part human. He wants to change the fact that humans are afraid and distrustful of vampires. His family has been living among humans for hundreds of years and they’ve always used their abilities for good. One day, while reading his favourite superhero comic, Allistaire decides that he’s going to do everything he can to help humans. In order to become a superhero, Allistaire will start by doing good deeds. His sidekick, his human friend Rich, offers to help him out. 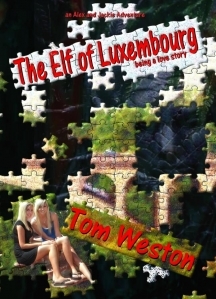 The eBook is available on my website at www.topsybooks.com. The print version will be there in November – just in time for Christmas! I’m working on getting it on to Amazon and Barnes and Noble soon. On topsybooks.com you can find out more about Kaptain Vamp and my other book The Witch, the Cat and the Egg. Kids can download images from the books to color and learn words from the books in 5 different languages. There is also a monthly draw for copies of books or t-shirts. I have a few writing projects on the go. An artist friend is working on the images for my next book about a fairy. My brother is working on the images for my Topsyturvia series. I’m also experimenting with other writing mediums. I’ll soon have one or two new comic strips that will be available only on the website. Readers will be able to vote for the one they prefer and I’ll either continue with as a comic or turn it into a future book. I’m working on an adult short fiction story that I’m considering entering into a contest later this year. When I started writing stories for children, I decided that I would write the kinds of books that leave my readers feeling good and wanting more; that also leave them with a smile on their faces. The type of book that you can read to kids before they go to bed that will help them have good dreams! That’s what Topsy Books is all about. My personal motto is “Dare to imagine and believe in the magic of possibilities!” I hope that new readers will make Topsy Books part of their reading collection. There will be sequels to The Witch, the Cat and the Egg and Kaptain Vamp next year. An eBook of the Witch book is available on the website. An audio and French version of the book will be coming soon. Thanks for the interview and for reading Kaptain Vamp. Thank you for spending time with us today, (Joanne Lécuyer). We wish you much success.